Pre-game concerts at Kane County Cougars games will start at 4:30 p.m. on Saturdays from June until September and are free to fans with the purchase of a game ticket. The Kane County Cougars are offering more than just baseball at Fifth Third Bank ballpark this summer. The new Cougars Music Garden is the Geneva-based team’s latest effort to give their fans “more than just a ballgame,” according to a team official. “We thought that everyone loves live music especially outside on a summer night,” said Curtis Haug, the Cougars Vice President and General Manager. That led to the creation of the music garden, a dedicated space in the FifthThird Bank ballpark complex that was dedicated on June 11 with a ribbon-cutting ceremony and followed by an inaugural Saturday pre-game concert. Haug said that the music garden was a joint effort between the Cougars and their longtime partner, the Acres Group, to give fans a fun, full-day experience when they come to Saturday games. The ribbon-cutting was attended by team owners and board members as well as everyone who helped to construct the garden, Haug said. The ceremony was followed by a performance by the 1980-90’s hip hop tribute group, Too White Crew. Haug said the Cougars are hoped to host 8-10 pre-game concerts throughout the season as well as additional concerts on non-game days. Pre-game concerts will start at 4:30pm on Saturdays from June until September and are free to fans with the purchase of a game ticket. Enteratainment between innings is just as much as part of the action at all Kane County Cougars home games. 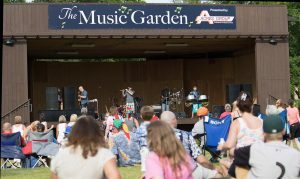 Since the unveiling, the music garden has hosted Mr. Myers Band, a popular Jimmy Buffet cover band, and Big Band Boom!, an 18-piece modern jazz ensemble, according to the Kane County Cougars website. The rest of the concert series will include Trippin’ Billies (July 16), Suburban Cowboys (July 30), American English (Aug. 13), Hi Infidelity (Aug. 27) and Mike and Joe (Sept. 3). Haug said that the Cougars had often rented stages to host pregame concerts in the past, so building a permanent music pavilion seemed like a logical next step. The staff came up with the idea for the music garden when discussing new ideas for promotions at staff meetings in October. 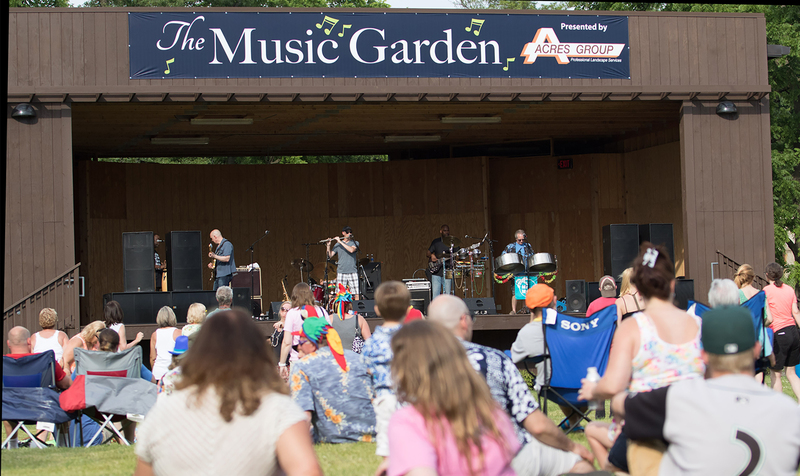 Summer concerts in the music garden are only one way that the Cougars strive to go the extra mile so that everyone who comes to games has a blast. The Cougars also have themed nights where fans can attend games dressed in costume and enjoy different performances as well as weekly specials on food and drinks. 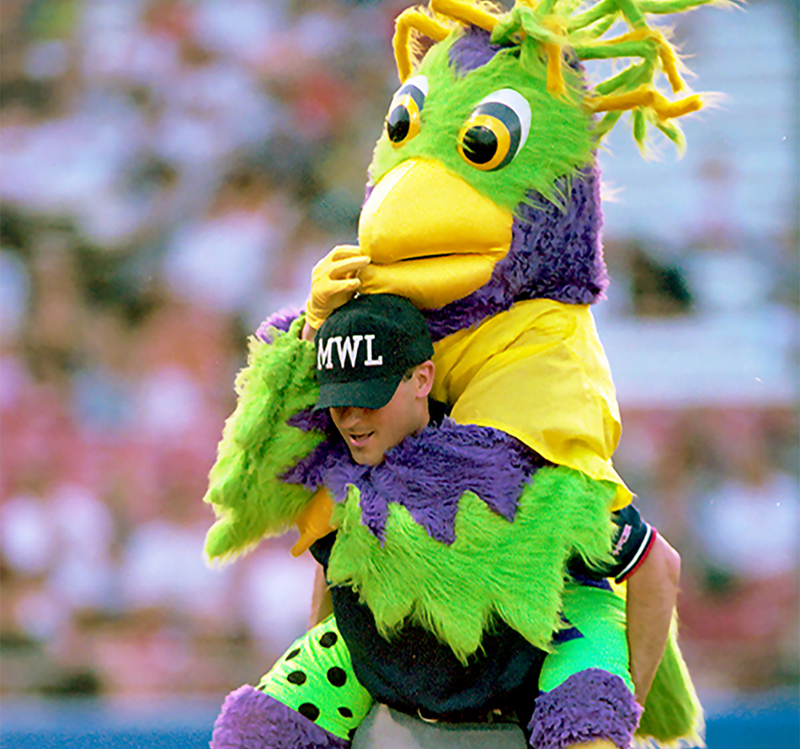 During run up to the Fourth of July holiday, staff planned a week full of events to celebrate the holiday during the team’s home stand featuring the Burlington Bees and the Quad Cities River Bandits. The week-long fun included giveaways and daily deals such as Half-Price Hump Day and Thirsty Thursday where select beers cost only one dollar, Haug said. They also held a superhero/Comic-Con themed night on Friday and Military Appreciation Day on Saturday featuring a display of Military vehicles, he said. Haug said that the Cougars were also proud to honor current and past members of the U.S. Military by dedicating the day to them. The team and staff will also be wearing special Military photo jerseys that they have created for the event. Haug said that these different kinds of events and promotions not only benefit the spirit of the fans in the audience, but the spirit of the players as well. The Cougars are a minor league team affiliated with the Arizona Diamondbacks and play at the lowest rung of professional baseball. At the Class A level the focus is on develop their skills to move up the professional ladder, Haug said. He said that the atmosphere that they play in and the crowd that they play for are instrumental for player development.